All the benefits of ZOLL CPR feedback in a traditional 2 piece electrode! 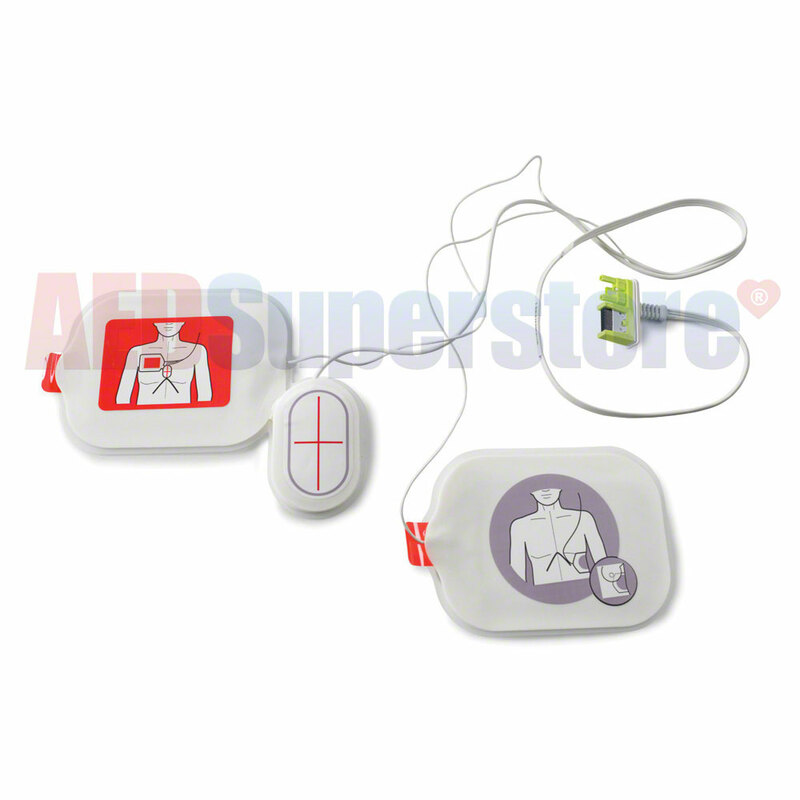 CPR stat•padz are designed for use with the ZOLL AED Plus and AED Pro. The HVP (High Viscosity Polymer) gel reduces skin effects by up to 96% over conventional electrodes. The two piece construction ensures all therapy options are available to the ALS responder. The unique design gives it utility in both the Anterior/Anterior and Anterior/Posterior placement. Multi-function; defibrillation, non-invasive pacing, cardioversion, and ecg monitoring. Available in single set or 8-pack of electrode pads. Select desired quantity by using the dropdown window above.